Five years after the last film, Harry Potter is back – and he’s now a father and civil servant in the Ministry of Magic. The stage version officially opens in London on July 30, a day before the book is released. Harry Potter fans have proven their patience time and again over the past two decades, counting the days until each new book and film release. Now what could be their last phase of waiting is coming to an end. The play “Harry Potter and the Cursed Child” – being billed as the eighth story in the fantasy series – is finally celebrating its official opening in London on Saturday. The first preview performance of the play took place at London’s Palace Theatre on June 7, with part two premiering two nights later. And in case you’re interested in purchasing tickets, you can hold your horses. The show is sold out through May 2017, though a new batch of tickets for performances through mid-December 2017 go on sale on August 4. With a few dozen performances already under the cast’s belt, reviews of the two-part, five-hour “The Cursed Child” play have so far been overwhelmingly positive. Hollywood trade paper “Variety” called it a “theatrical blockbuster,” adding that “The Cursed Child” could win young new audiences for theater, just as the book series has done for reading. A brief social media discussion flared up earlier this year when black actress Noma Dumezweni was cast in the role of Hermione, but British author J.K. Rowling was quick to criticize all racist comments, showing her utmost support for the casting decision. The script of the play will officially be released Sunday, which also happens to be Harry Potter’s birthday. As with its predecessors, the plot remains top secret – standard procedure for the Harry Potter marketing machine. 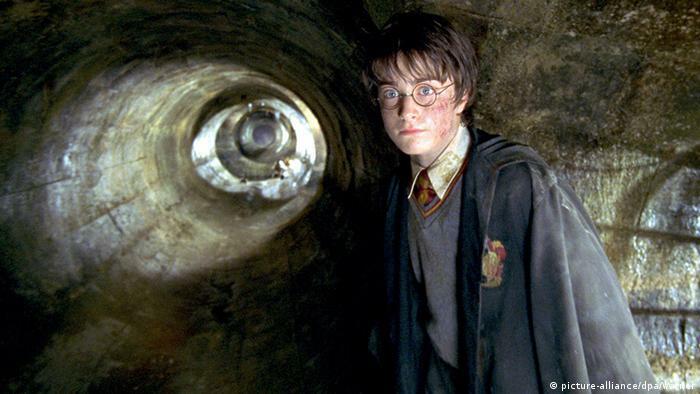 From books and films to memorabilia, amusement parks and now a play, the boy wizard has for nearly two decades been a global phenomenon and marketing success worth billions. The brand has also made its creator, Rowling, rich. In 2011, “Forbes” magazine estimated her net worth at about $1 billion (900 million euros) – wealthier than Queen Elizabeth II. The first volume in the seven-part book series, “Harry Potter and the Philosopher’s Stone,” was released in the UK in 1997 with an initial print run of 500. Parts two and three soon followed and sales began to multiply. The big breakthrough came in 2000 with the publication of the fourth volume, “Harry Potter and the Goblet of Fire,” which set off Potter mania. Rowling’s books were the first youth novels to crack the international best-seller lists. Translated into 73 languages, the series has been read all over the world selling 450 million copies worldwide; age limits and cultural boundaries seemingly do not apply. People were – and still are – enchanted by Rowling’s parallel universe, the world of magic that exists hidden alongside the Muggle world. Muggle, Rowling’s term for a person that doesn’t possess magical skills, has meanwhile joined the lexicon. People now use the term to describe any person who lacks a particular skill or is inferior, or uninitiated. For example, in the world of geocaching, where players are sent on a scavenger hunt with geographical coordinates to search for a cache of items, the idea is to make sure the cache remains unobserved by non-geocachers, or Muggles. After the last volume, “Harry Potter and the Deathly Hallows,” was published in 2007, fans around the world were forced to grudgingly accept that the story had come to an end. The film adaptation hit cinemas with much fanfare in 2010 and 2011, split into two parts – squeezed for every last penny. Harry’s archenemy, Lord Voldemort, had been defeated, and the epilogue showed the boy wizard many years later, grown up, married and sending his own son off to the Hogwarts School of Witchcraft and Wizardry. And it’s here, 19 years after release of the very first Harry Potter book and nine years after the last one, the story is set to continue. What we do know is that it picks up exactly where “Deathly Hallows” left off – at the St. Pancras train station in London. These characters are already certain to return: overworked, middle-aged Harry, his wife Ginny and their son, Albus Severus, along with their two other children. Harry’s friends Ron and Hermione will also appear, along with their daughter, Rose. Of course, it wouldn’t be a Harry Potter story without eternal adversary Draco Malfoy and his son, who apparently has inherited the vile character traits of his father and grandfather. In the US, “Harry Potter and the Cursed Child” has become a bestseller even before its release, registering the most pre-orders since 2007.